The beauty of the wide range of acrylic nails that we offer at Got Nailed? Beauty Bar & Supply is that they are fun, fake and easy to apply. Some might think that the disposable nature of acrylic nails is a drawback but we do not. On the contrary, we feel that the short-term nature of this type of manicure means that they are perfect for a busy individual who wishes to let their hair down at the weekend. In addition, the acrylic tips and extensions that we offer at Got Nailed? Beauty Bar & Supply come in a wide range of colors and exciting styles, which means that when it comes to new nail designs, the world is your oyster. Do you want a change from your regular nails? Are you concerned about the drawbacks of frequently having to use a UV lamp in a gel manicure? If so, then acrylic nails are the perfect solution. At Got Nailed? Beauty Bar & Supply we always tell our clients to think about their preferences when it comes to achieving nail perfection. If you would rather fake it than bake it, then acrylic nails are your obvious choice. Despite what many people think, there is certainly more that unites gel and artificial acrylic nails then what divides them. For instance, both types of manicures can lengthen and strengthen short nails while making your fingers appear longer and more slender. In addition, when you come to Got Nailed? 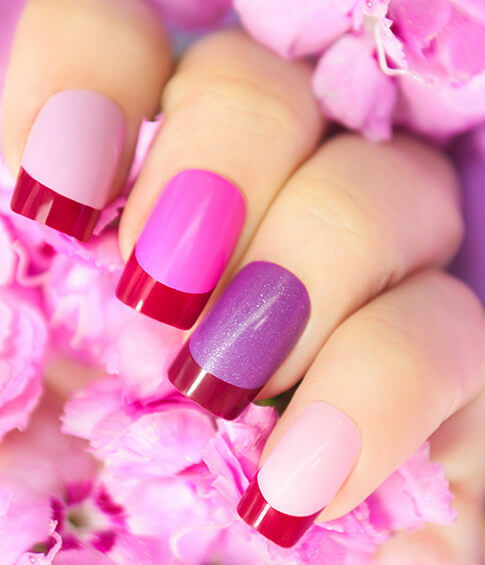 Beauty Bar & Supply you can rest assured knowing that whatever type of manicure you choose, you will receive the same winning combination of skill and care. If you are looking for a quick and easy way to reshape your nails for a night on the town or a weekend away, then extensions are the way to go. At Got Nailed? Beauty Bar & Supply our award-winning technicians can provide a plastic plate extension that follows the natural shape of your nail to add length, style and color. From there, our team will apply an acrylic or fiberglass mixture to the surface of the nail extension to ensure it remains in place. Nail extensions are perfect for people who bite their nails or for those who want a fast and affordable solution.